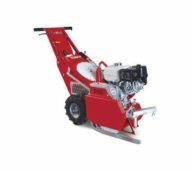 TurfCutter TC350H cuts artificial turf with or without infilling material during the removal process. 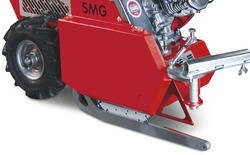 It is equipped with a sword, penetrating the turf in a selected height and guides it to the motor driven saw cutting the turf. The motorized saw blade then cuts the artificial turf. 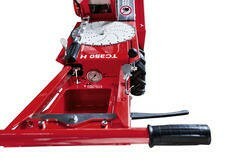 The guide chain supports a straight cut. The TC350H has a hydraulic gearing for forward and reverse travel, which enables infinitely variable speed up to 80 m/min.